Google’s Chromecast, which was announced and released without much fanfare last year, seems to have made a lasting impression on the streaming content / set-top box market. Since its arrival, competitors have been noticeably stepping up their games, and you only have to look at the increased range and variety of content on the Apple TV to see how wary companies are of the alternatives now on offer. 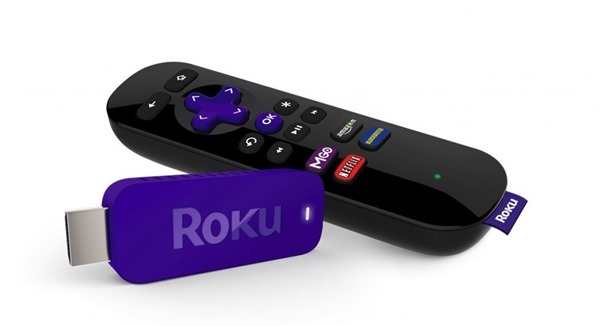 Roku, the California-based maker of streaming entertainment devices, has responded to the popularity of the Chromecast with its own downscaled, cheap solution that, like Google’s effort, connects straight into your TV’s HDMI socket. The Roku Streaming Stick, as it will be known, is, to all intents and purposes, a Chromecast. It offers a similar form factor to a traditional USB thumb drive, and once you’ve hooked it up to your HDTV, you can stream from up to 1,200 different channels, using your mobile device as a remote control. When the Chromecast first hit the scene, few would have touted it as a potential game-changer, but in terms of the effect it has had on the industry and rivaling brands, it’s fair to say that it has been. 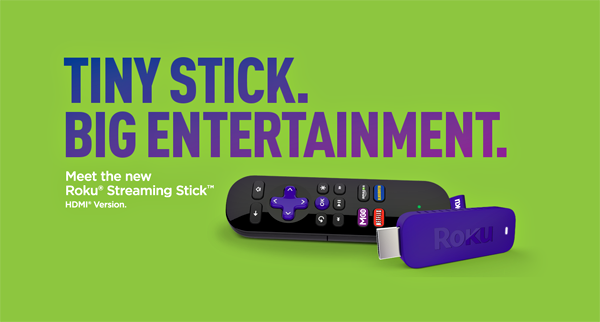 The Streaming Stick provides, as described by Roku Senior Vice President Jim Funk, "an easy way to search for movies and TV shows, and options to control the experience with a remote or mobile device." The small form factor is, without doubt, a direct challenge to the Chromecast, which, thanks its incredibly low price of $35, has made very handsome sales so far. The Roku Streaming Stick isn’t quite as cheap as its main adversary, with a $49.99 price tag accompanying the April release, although it will, unlike the Chromecast, ship with its very own Wi-Fi remote control. The device will be available next month in the United States, Canada, the United Kingdom and the Republic of Ireland, and can be pre-ordered through your normal mass-market stores like Amazon, BestBuy, Wal-Mart and Staples. Sure, it doesn’t offer anything more than the Chromecast already delivers, but for those in the hunt for an alternative (and a device that includes a dedicated Wi-Fi remote), the Streaming Stick is definitely one to consider. It can even serve as an alternative to an Apple TV sans AirPlay features, which is nice for those who are only looking to stream content, nothing more, nothing less.